Natalie Corten, solicitor in the Family Law team, reports on the law relating to domestic abuse and the impact of the new Domestic Abuse Bill, recently published by the Government aimed at supporting victims and their families and pursuing offenders. Women’s Aid defines domestic abuse as an incident or pattern of incidents of controlling, coercive, threatening, degrading and violent behaviour, including sexual violence, in the majority of cases by a partner or ex-partner, but also by a family member or carer. There is a perception among many that domestic abuse is limited to physically violent behaviour but this is not the case. Domestic abuse comes in many forms and can include, but is not limited to, physical abuse, verbal abuse, emotional/mental abuse and financial abuse. Domestic abuse affects all walks of life regardless of age, gender, ethnicity, socio-economic status, sexuality or background. The government launched a consultation into domestic abuse in March 2018 that drew responses from over 3,200 people. It is estimated that around two million adults (6%) fall victim to domestic abuse each year. Whilst the majority of victims are women, the number of male victims coming forward is increasing. Domestic abuse also affects the families of victims and can have long-term impacts on children who witness this within their home environment. Domestic abuse not only puts a child’s safety at risk, but it can have a lasting impact on their emotional wellbeing and development in later stages of life. Studies have also shown that adults who witnessed domestic abuse as a child are far more likely to experience abuse by a partner themselves as an adult. It is therefore a very serious issue and one that the Government has taken steps to address in the draft Domestic Abuse Bill that was published on 21st January 2019. What is the draft Domestic Abuse Bill? The draft Domestic Abuse Bill is a long-awaited document, which has come around following a pledge by the Government to change the laws surrounding domestic abuse two years ago. The proposed legislation has been described as a ‘landmark’ overhaul of the current system and has received praise from a number of domestic abuse charities, including Refuge and SafeLives. 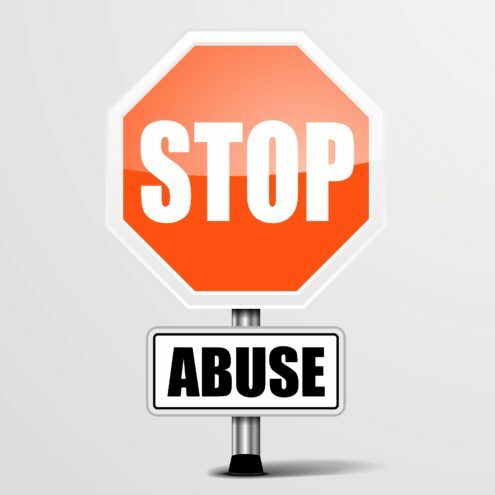 A statutory definition of domestic abuse to include “economic” abuse, which will cover controlling circumstances such as finances being withheld, denying a person access to employment or transport amongst others. Domestic Abuse Protection Orders which will enable Courts to impose a range of conditions on perpetrators such as a requirement to attend a rehabilitation programme to address substance misuse or behaviour. The appointment of a Domestic Abuse Commissioner dedicated to improving the response and support for victims across public services. Give ‘Clare’s Law’ a statutory footing. The Domestic Violence Disclosure Scheme, known as ‘Clare’s Law’ was put in place in March 2014 and allowed individuals to find out whether their partner has a history of domestic violence. The proposed legislation would give individuals a legal right to ask the police if their partner may pose a risk to them. Bring an end to the cross-examination of victims by their abusers in the Family Courts. The end of perpetrators of domestic abuse being able to put difficult questions to their victims in the Family Courts is one of the biggest changes to the current legal justice system. In criminal proceedings, the Court has the power to make an order preventing an unrepresented defendant (perpetrator) to cross-examine the alleged victim themselves. This must be done through a legal representative appointed by the Criminal Court. In family proceedings, there is no such power. Whilst Judges can use their general case management powers to prevent a victim from being cross-examined by their alleged abuser, they are unable to appoint a legal representative to do this on their behalf. This is a big victory for victims who find themselves in the family Courts for issues involving separation, divorce, financial remedy and children matters. The draft Bill will need to be formally introduced to Parliament for consideration before the legislation will come into force. With Brexit currently being at the top of the agenda, it is not clear when there will be time for Parliament to turn the proposed measures into law… but watch this space! If you, or anyone you know, has been affected by domestic abuse and requires legal advice then please do not hesitate to contact our Family Team on 01495 768938. Is snoring grounds for divorce?